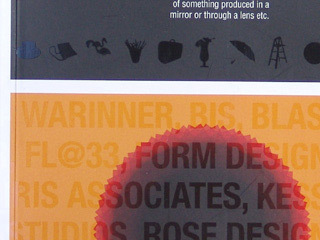 The second book featuring FL@33 in AVA's great Basics Design series contains a whopping six FL@33 projects. |p.40| Matelsom | This is a series of mixed-media promotional designs, which FL@33 design studio produced for a print and online marketing campaign by Matelsom – a French e-commerce, furniture supplier. 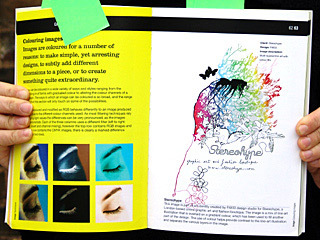 The mixed-media technique allows designers to exercise total control over photorealistic images and drawn elements in order to achieve a very stylish result. 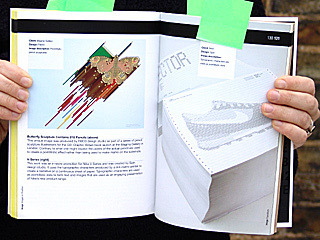 The examples shown demonstrate the variety of mixed-media illustrations that were used for advertisements, A4 envelopes and other communication pieces. |p.51| Toi Com Moi | These images are part of an advertising campaign created by FL@33 for Parisian fashion label Toi Com Moi. The label designs colothing for parents and children so fathers and sons, and mothers and daughters can purchase items that match. The designs feature photographs of domestic life. The reportage images are spliced together to give a feeling of movement, much like that of a home movie, a device often used in cinema to suggest idyllic childhood days. |p.63| Stereohype | This image is part of an identity created by FL@33 design studio for Stereohype, a London-based online graphic art and fashion boutique. The image is a mix of line-art illustration that is overlaid on a gradient colour, which has been used to fill another part of the design. The use of colour helps provide contrast to the line-art illustration and separate the various layers in the image. |pp.122-123| Groupe Galeries Lafayette / BHV | The design was commissioned by Paris-based advertising agency Les Quatre Lunes for the 2003 annual report of Groupe Galleries Lafayette / BHV. 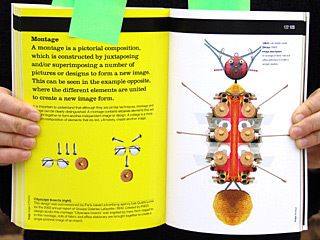 Created by FL@33 design studio this montage was inspired by Trans-form magazine's Citycscape Insects. In this montage, rolls of fabric and office stationery are brought together to create a single pictorial image of an insect. |p.130| Butterfly Sculpture | This unique image was produced by FL@33 design studio as part of a series of pencil sculpture illustrations for the GB: Graphic Britain book launch at the Magma gallery in London. Contrary to what one might expect the points of the actual pencil are used to create a pointillistic effect rather than being used to make marks on the substrate. |p.169| Shadows | This piece of work, Shadows, is a view from the Eiffel Tower. Shadows can be used to add a dimensional layer that helps to locate or secure graphic elements within a design so that they do not appear to be free floating. Above is an image by FL@33 design studio that uses a series of cut-outs to which artificial shadows have been added (((not correct: they are in fact the original shadows – but individual elements were turned so that the shadows are all upright rather than the person))), specifically to provide an exaggerated sense of perspective. Images are used everywhere, from cinema posters to perfume packaging, they have the power to elicit a response and impart information. Images can, quite literally, 'paint a thousand words', but understanding what they mean, when to use them and how to control them is becoming ever more crucial. The ability to alter images is made far easier through technological advances. Importantly though, what we're altering needs to be understood and controlled. Basics Design: Image will look at two distinct areas: what images mean and how we can create them. A primer in basic semiotics, Basics Design: Image will unravel the often complicated terminology associated with image 'reading'. 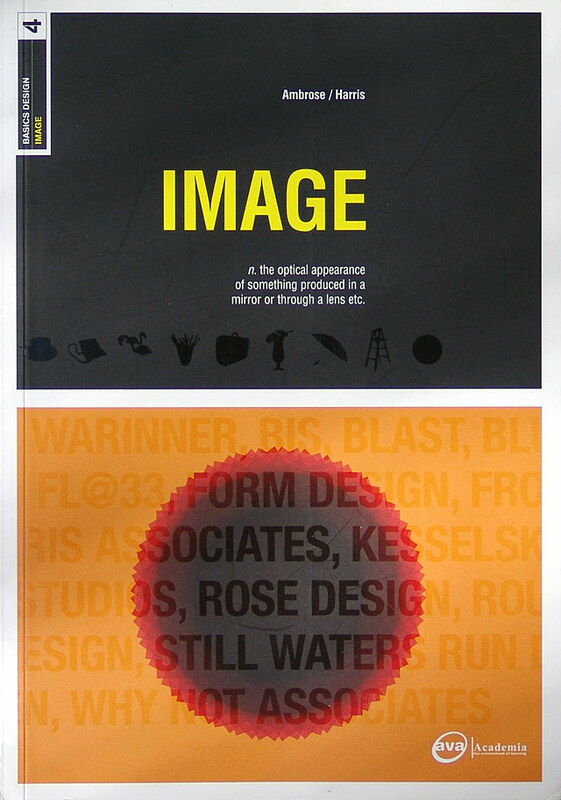 On a practical level, this volume will introduce some of the many ways images are created; from reportage photography to illustration, computer generation to iconography and computer and print manipulation. 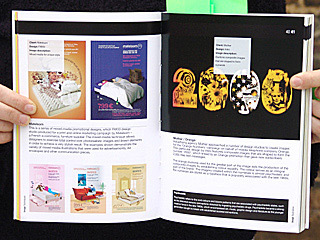 Basics Design: Image aims to equip the contemporary designer with a series of tools and ideas. 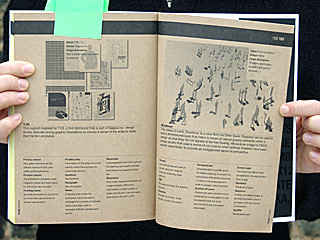 Inspirational examples from design agencies help support the 'basic' sections discussed and allow the reader to see the relevance of fundamental principles in practice.